Even when we are in our homes, we have an internet connection. When we are out in the streets or in malls, we can still post photos and chat with friends online. In this society, it seems like we no longer have a time alone and a time to think really deep because we are always connected to the world all the time. But if we actually try, we could always have a “me time” in our bedrooms or in just any place we want. But then again, there might be instances that it is really hard to think and have an isolated time and space. This is where the Sensory Concentration Space (SCS) comes in. It is more than a chair because it is something else. 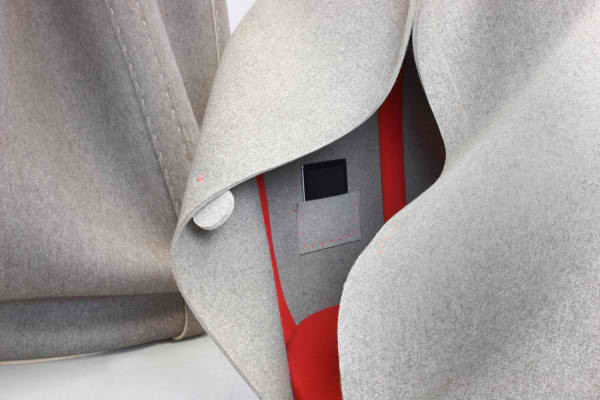 This is a soft microcosm that lets you and/or a group concentrate on your senses while you are inside it. 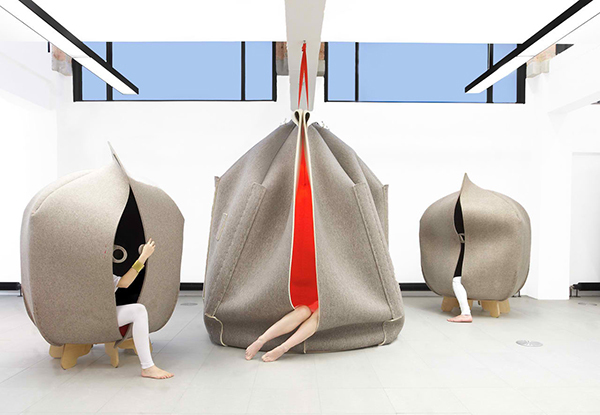 It has a unique shape that looks like a cocoon providing a private space to relax and dream in. 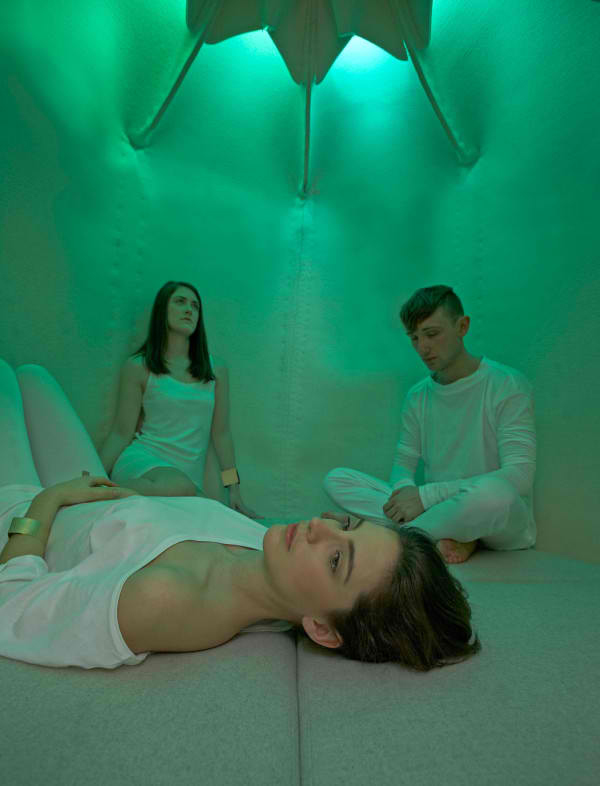 Freyja Sewell, the designer “hopes to create an environment that encloses us and leads us into a greater appreciation and connection to our bodies”. 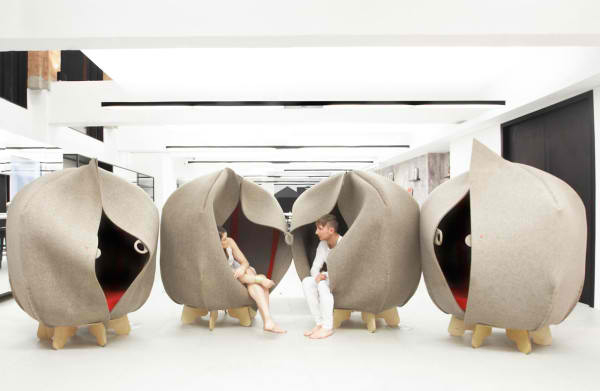 These pods are made from 100% wool felt structure that actually looks like an indoor tent. Sounds drown out from the exterior which makes this a noise free area. Because it is free of noise, it becomes a place that is comfortable to lay back. An iPad is used to control the colors and sounds inside it. 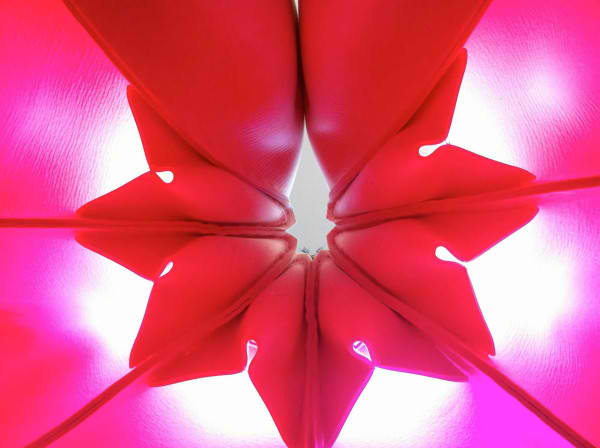 On the topmost of the structure is an LED light that changes its color. The change of color is related to the change of mood in the space. It could be fiery red or even orange which is associated with joy and enthusiasm. While blue has a calming effect that slows metabolism and encourage learning. When the green light is on, it encourages freshness and is restful for the human eye. 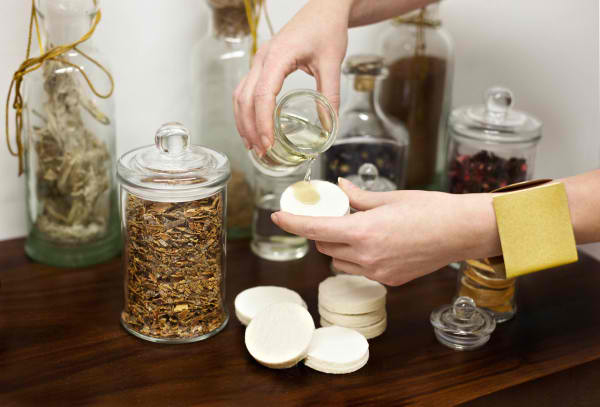 You can even add some scents into it for a more relaxing space. I actually think this is kinda weird but this is still a good place to have a space that is just yours or for some people you want to spend time inside. But I’m not sure if this is a good idea to have in the house or even in the office. Maybe, if not used well, it may also cause trouble, don’t you think? 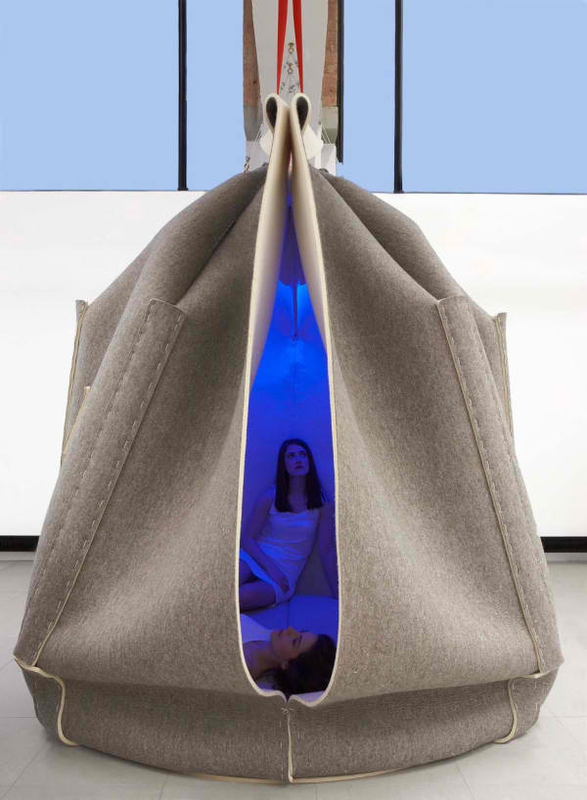 But this Sensory Concentration Space by Freyja Sewell could really be a big help when used in the right way especially for writers like us. Agree? How do you find this product?